This is a feeble attempt to sort of catch up with my notes a little bit, in the middle of Yamim Noraim when I ought to be writing my Shabbos Shuvah derashah. If you’re not into the notes on the Daf, feel free to scroll down for other material, perhaps to speeches for Day 1 (Risk-taking) and Day 2 (Depression) of Rosh HaShanah. I won’t be offended. The gemara says that there is a debate regarding the ownership of wild creatures caught in a trap which does not have a receptacle component, but I am not clear on why this is a debate. In the mishnah in Rosh HaShanah and Sanhedrin regarding disqualifying people from testimony for acts which are classified rabbinically as theft, we include people who lure birds from others’ dovecotes, even those the dovecotes do not hold the birds in receptacles. In the story of Rav Kahana taking someone’s dates, he had the halachic status of a pauper because he was traveling on the road, and so he was entitled to them. See Tosafot שדי אופיי, who disagrees with Rashi as to what Rav Kahana was doing to get the dates. Note that Abayye here disagrees with Rava, but answers a challenge to Rava's view on his behalf. The gemara here recommends that we tell an am ha’aretz that by touching dough he will return it to its untithed state, because we know he doesn’t take impurity seriously but he does take tithes seriously. This idea of lying for halachic gain bothers me a great deal, especially when Tosafot שלמא further down the page says that one may not pretend to greet someone warmly when you are really greeting a third party, lest you be guilty of deception! The gemara here notes that one should feed his animals before eating personally, from the order of HaShem’s promise that if you will follow the mitzvot, Hashem will give grass for your animals, and you will eat and be full. Note, though, that regarding drinking we say that people should drink first, since Rivkah gives water to Eliezer first, and only afterward to his camels. We say here that if a man sends a proxy to betrothe an unspecified woman, and the proxy dies without informing him whom he betrothed (if any), then the man may not wed, lest he accidentally wed a relative of his betrothed. This is often cited as an explanation for how Lavan wished to destroy “everything,” as alleged in the Haggadah – since he and Betuel plotted to kill Eliezer, with the result that Yitzchak would now not have been able to wed. However, see my notes here explaining why this is not a concern, using Tosafot from Nazir 12a. The gemara here says that the sages empowered an underage shifchah to acquire the meal of שיתופי מבואות on behalf of others, even though she is underage, since the entire construct is rabbinic. But I don’t understand – once they felt free to expand to an underage shifchah, why didn’t they also permit one’s underage children? this woman Sarah saw Avraham returning alone and believed that her husband had killed their precious son. ותבך ותחנק ותמת מן הצרה, she wept, she strangled, she died in agony. She died, in pain, not knowing that, in fact, her son was alive. She died, in agony, not knowing that it had all been a Divine challenge. She died - and the medrash allows us to believe it might even have been by her own hand - in the deepest depression imaginable, a mother who thought she had lost her child, her only child, whom she had loved, Yitzchak. I read this medrash and cannot help but be distraught. So tragic - and so wasteful, so unnecessary! In vain! How could Gd allow her to wallow in this depression until she passed away? And yet, we allowed it to happen just yesterday. And today. And, if we don’t do anything about it, tomorrow as well. It happens every day, every minute of the day. On a daily basis, people around us suffer from psychological pain, from the angst that comes with unemployment, with bankruptcy, with family trouble, with inability to cope, with stress and fear, with biochemical imbalance. Some of them find ways to manage, through counseling and friends and medicine. Far more never find ways to manage. If we are torn by Sarah’s death, then we must do more than shed tears over this lost queen of Israel. We had a breakfast program about this issue in February of 2006. I spoke about it on Yom Kippur last year, too. Nonetheless, I want to re-visit it: Our Judaism and our humanity obligates us to do more to prevent such deaths. Our Torah obligates us to help. In each of these cases, we know what to do. If he sells his ancestral fields, redeem them for him. If he seeks a loan from you, lend him the money and be prepared to turn that loan into a gift. If he sells himself into servitude, treat him with respect and set him free. Yes, we know that we are obligated to help our economically destitute brethren, and we know how to do it. But poverty comes in many forms, and economic poverty is nothing compared to emotional poverty, to a need which is often born of circumstances entirely beyond your brother or sister’s control. It can come from biochemistry. It can come from stress. In the end, the result is the same: A poverty that demands our help. There is no greater כי ימוך אחיך than when your neighbor is suffering emotional pain, is in the shoes of Sarah Imenu. The Torah says that we are obligated to restore lost objects to their owners; how much more so, to restore lost control, lost stability, lost hope. The mitzvah of tzedakah itself is contoured to provide not only financial help, but also emotional support. We are taught that it is better to give a penny, with a smile, than to give a dollar with a grimace. As the gemara explains, giving with a grimace is worse than giving nothing - it actually takes something away from the recipient. Every Jew is obligated to tithe Israeli produce, and part of that tithe is supposed to be shared with the needy. At the end of each tithing cycle, the Jew declares for all to hear, שמחתי ושימחתי אחרים, I rejoiced, and I helped others rejoice as well, with these tithes. When a man gets married, he is obligated to fulfill the mitzvah of ושמח את אשתו, making his wife happy. And during the wedding and the immediately ensuing week, everyone is obligated in the mitzvah of שמחת חתן וכלה, gladdening the bride and groom. On our national holidays, we are obligated in ושמחת בחגך, to gladden not only our families but also the strangers around us, and the widow and the orphan and anyone in need. The Torah is filled with mitzvot related to bringing joy to others - because we dare not allow Sarah’s agony to recur. This is our obligation. One day, when Yosef was in jail, וירא אותם והנם זועפים, he noticed that two of his fellow prisoners, the former royal butler and former royal baker, were dejected. Yosef’s reaction was immediate: He approached them and asked, מדוע פניכם רעים היום, “Why are you so down today?” They told him they had experienced frightening dreams, and Yosef offered to listen, and they took him up on the offer, and the rest is history and a Broadway show. First, we take Notice. Yosef was almost killed by his brothers, then sold as a slave, then thrown into prison on false charges; he was certainly deep in his own troubles. He could be excused for missing the cues when his cellmates were down - but he didn’t. He saw their pain. Second, We don’t tell people to snap out of it; we listen to them. Yosef didn’t tell the butler and baker to get over their problems, to pull themselves up by their bootstraps, to trust in Gd the way that he did. Rather, Yosef asked them to tell him what was wrong, and - when they were willing to talk - he listened carefully. To these two pieces of advice I would add a third lesson of the Torah: Recognize that people who are depressed are not “crazy,” they are not out of touch with reality. They are, if anything, more realistic than the rest of us: This world is broken. It’s certainly broken if you read the newspapers - Washington is broken, or so I’ve been told a few hundred times in this campaign season. The trans-Atlantic Alliance is broken, or so I’ve been told a few thousand times over the past eight years. The economy is broken, say the Democrats. Public morality is broken, reply the Republicans. And so on. And, in many ways, they are right. It’s no wonder that the rates of suicide and emotional dysfunction among highly intelligent people are reportedly higher than for the rest of the population; they are just reacting to what they are seeing. Judaism, too, declares that we live in a broken world. The gemara calls it עולם הפוך, an upside-down world. Justice is rare and suffering is rampant and Gd is visible only if you look very, very hard. Rav Kook noted evidence of this brokenness in the actual structure of the Talmud, the core of Jewish tradition. The Talmud is composed of six sections, each covering a different area of law. One section is called Nashim, and it deals, primarily, with marriage and divorce. One might have expected the Marriage section to start with laws of betrothal and weddings - but it doesn’t. Instead, it begins with the laws of Yibbum, of levirate marriage, the case in which a man dies without children, and his wife marries his brother in an attempt to restore life after this devastation. Rav Kook taught that the Marriage section begins with the laws of Yibbum in order to show that it is normal, we must expect it, to live in a ruptured, broken, world. The real world doesn’t have many neat marriages and well-adjusted children. The real world has death and childlessness and Yibbum - and this is the reality which many depressed people see. This is why the concept of tikkun olam b’malchut Shakkai, repairing the world under Gd’s reign, is so important in Judaism. Judaism’s central mandate of repairing the world forces us to recognize that the world bequeathed to us by Gd is not a Panglossian best of all worlds; it is broken, and it’s waiting for us to fix it. So when we see people who are dealing with Depression, we don’t dismiss them as crazy. Instead, we follow Yosef’s lead: Take Notice, and offer to Listen. I readily admit that I am very flawed in this. I wouldn’t be surprised if there were people sitting here thinking, “I’ve been depressed for years, and the rabbi hasn’t taken any notice,” or, “I’ve tried to talk to him about it, and he hasn’t listened well.” I’m not the best at it - but I’m working on it. CNN ran a story a few months ago about Yukio Shige, a retired Japanese police officer. Shige patrols Japan’s Tojinbo cliffs twice each day, to keep people from leaping off to kill themselves. The story described a 34-year old man named Hiro who came to the cliffs one day, intending to jump off at sunset. His mother had died. He had no friends, and a great deal of debt. But as Hiro waited for sunset, Officer Shige came by and asked Hiro if he needed to talk. Shige listened, and then helped set him up with financial counselors. The key wasn’t in the financial counseling, though; Hiro, today, credits Shige with saving his life by showing him that someone would be upset if he died. It made all the difference - listening, showing that he mattered. That saved a life. In four years, Shige has saved 129 lives this way. Helping people is not an endless pursuit; we need not be afraid of being sucked into some vast, bottomless pit of emotional need. With friends and with medical help, people survive depression; I know numerous people who were on medication and are now off, who spent years dreading getting out of bed and are now healthy. It can and does happen - not in all cases, but in some. Today we all wish each other a happy and healthy year. We pray to Gd for a happy and healthy new year, too. But if, by Rosh haShanah next year, we notice just one Sarah and offer her an on-going ear, then we will have done much more than wish and pray: Aided by the merit of our matriarch Sarah, we will have created a happy, and healthy, new year. 1. I first started emphasizing this theme in response to the writings of Rivka at Ha'azina Tefilati. 3. On gladdening others with maaser, see Mishnah Maaser Sheni 5:12; Sifri Devarim 303. 4. On highly intelligent people experiencing Depression, Google it; it's all over. 5. The idea from Rav Kook was cited by Prof. Shlomo Carmy in a recent edition of Tradition. 6. The idea regarding Yosef's treatment of the butler and baker was sparked by a Yossy Goldman article I happened across here. 7. Yukio Shige's story is found here. Note that Tojinbo is also rendered, in some places, Tojimbo. I once participated in a "Yarchei Kallah" program run by Rabbi J.J. Schacter, in which he mentored young rabbis in the art - and with him, it truly is an art form - of the Derashah. Yeshiva University's Center for the Jewish Future has since taken the program under its wing, and Rabbi Schacter continues to lead this program, and to help young rabbis become darshanim, and more. The idea that triggered this derashah - the midrash about HaShem rejecting Emet and taking a risk on creating humanity - came from Rabbi Shalom Axelrod's development of an idea expressed by Rabbi Schacter at a Yarchei Kallah program. Rabbi Axelrod's derashah was printed in a tribute collection for Rabbi Schacter, "His mother didn't call him, 'Our Beloved Teacher.'" The federal government has finally admitted the full extent of our economic shambles, congressmen are competing to describe the meltdown in the most dire terms possible, banks have closed or are threatening to go that route - and everyone is blaming the gambles of greedy banks, the audacity of greedy lenders, the risk-taking of a greedy market. Risk-taking has acquired a bad name over the past two weeks. So it is with some trepidation that I say that one of the most important themes of Rosh HaShanah is this: Take audacious risks. Gamble with money, gamble with relationships, gamble with Judaism. Perhaps the most important gamble in human history occurred on the very first Rosh haShanah - and the gambler was Gd. On that first Rosh haShanah in history, 5768 years ago, Adam and Chavah ate the fruit they had been warned not to eat, the fruit regarding which Gd had said, “On the day you eat this, you will die.” But they didn’t die that day. What happened? Gd opted to forgive Adam and Chavah. Gd took a chance on their future righteousness. In fact, the midrash records that even before Gd created humanity, Gd was already gambling on us. As Gd determined to create us, the Divine attribute of Truth protested, arguing that human beings would tell lies - and Gd refused to listen, opting to gamble on us instead, arguing that, as the Kotzker explained, אמת שאומר אל יברא אינה אמת, Truth which refuses to create, to take a chance, to lose once in a while, is not truth. Gambling is required, and losing is acceptable, because this world is not meant to be a place of perfection; Gd designed this world as a laboratory, and laboratory experiments fail. We are taught in Pirkei Avot, העולם הזה דומה לפרוזדור, This world is a hallway, a preparation area, a lab for the next world. Certainly, we take this world seriously, we try to mend the world and improve it. And if we fail, the consequences for ourselves and for other people are real. But the message of Pirkei Avot and the Torah is that in this Research & Development lab, mistakes are part of the learning process. Unlike the greedy banks and lenders, we take risks for the sake of noble values, for the sake of helping others - and then, if we fail, we can accept that, and Gd can accept that. Gd does not rig the table; He deals the cards, bets on our success, and lets the chips fall where they may. This is why Gd can create Humanity and forgive Adam and Chavah, all the while knowing that they and their descendants will fail again: Because in the lab that is this world, it’s all right to take a risk and fail. We just get up again and keep on going. Today, Rosh haShanah, the anniversary of the inauguration of this laboratory of chance, we ignore the calamitous market and we are inspired to take chances - financial, social, and spiritual. This is a time of year when Jews traditionally pledge tzedakah - as we will say shortly, ותשובה ותפילה וצדקה מעבירין את רוע הגזירה - Repentance, Prayer and Tzedakah will remove the evil decree. Shlomo haMelech/King Solomon wrote, וצדקה תציל ממות, Tzedakah rescues us from death. In this market, though, I’ll bet many of us are planning to reduce their tzedakah. That with the economy teetering, by all accounts, on the brink of collapse, with an ongoing recession and the new threat of a crash, with unemployment and shrinking retirement funds and lost scholarships and skyrocketing costs of staples, many of us - most of us, even - feel we just can’t do it anymore. The cards will be on our seats next Wednesday evening at Kol Nidrei, and it’s a safe bet that some people who used to fold down 180 will have to think long and hard before doing that again. Some people who used to push 54 might not be able to convince themselves to do that, either. And won’t we be smart, won’t we be prudent, when we reduce the tzedakah we give? After all, our assets are in danger! To which Rosh haShanah says “No.” Despite the market and the banks, despite our fears for the future, it is still time for us to gamble. We have been promised, and it’s actually recorded as law in Shulchan Aruch, לעולם אין אדם מעני מן הצדקה, We will never go broke giving tzedakah. Giving tzedakah is not the same thing as gambling on sub-prime loans. The bankers, the lenders, were gambling for the sake of lining their pockets. We, on the other hand, gamble on helping other human beings. Supporting a shul, a school, a Jewish Family Service, a mikvah, a needy family in Israel. I am not speaking glibly about something I am asking others to do, about some challenge for others to face. Over 40% of my take-home salary goes to tuition, and almost 20% goes to mortgage and real estate taxes. Add in gas and groceries and medicine and clothes for six and you realize that, yeah, Torczyner has a pretty good handle on what economic crisis means. But I believe that לעולם אין אדם מעני מן הצדקה, I will never go broke giving tzedakah, and Caren and I are going to act on that belief for Israeli tzedakot, for Federation, for the Mikvah, for Jewish Family Service, for JDS, for the shul. Please understand: I am not saying that a family should take bread out of its own mouth in order to give tzedakah; the first and most important tzedakah is to one’s self and one’s family. There are more ways to help other people, piety should not be linked too closely to the pocketbook. Tomorrow we’ll talk about one way to help people, that has nothing to do with spending a single cent. And if you need assistance, please, please come to me - thank Gd, and thank our community, the Rabbi’s Benevolent Fund can help. But if there is something left over after the immediate needs are met, then before locking down the savings account, remember the words of the prophet Malachi - ובחנוני נא בזאת, Test Gd on this: If you will separate out your tithes, then HaShem will open for you the storehouses of the heavens and rain down unlimited blessing upon you. Tzedakah is one gamble we should make, even in this risky world. Here’s another one: It’s time to gamble on our families, on our most fundamental relationships. There is not a single family that doesn’t harbor a broken relationship - siblings who have not spoken in years, a husband and wife who have become bitter over each other’s offenses, children who cannot stand the thought of speaking to their parents, parents who feel betrayed by their children, aunts and uncles who boycotted your wedding, cousins you wish had boycotted your wedding, you name it. This is normal in human relationships; relationships grow, and break. But they can also heal, and it’s amazing what an outstretched hand can do toward that end. Three years ago today, I spoke about the reconciliation between Avraham and his exiled son, Yishmael. There was good reason for this relationship to break, and remain broken. *Avraham kicked out his seventeen year old son, giving him nothing of his vast estate but a loaf of bread and a jug of water. Avraham gave more to three anonymous passersby than he did to his own son! *Yishmael, for his part, endangered the life of his brother, Yitzchak, and Gd personally approved of Avraham’s eviction of Yishmael. If ever there was a reason for a relationship to break, and to remain broken, this was it! But it did not remain broken; as the midrash tells us, Avraham pursued a reunion with his son Yishmael, and, eventually, not the first time but after a while, he got it. And when Avraham passed away, Yishmael was there - honoring his younger brother, Yitzchak, putting him first in the burial procession. Avraham took a chance, reaching out to a son whom Gd had described as פרא אדם, a wild man, who in his youth had wandered off into idolatry, sexual immorality, and murder, a son who had lived a life far removed from Avraham’s דרך ה', his path of Gd. Yishmael took a chance, too; he could have rejected Avraham’s advances. Yishmael could have berated Avraham for kicking him out of the house. Avraham put his heart on the line and reached out - he was willing to risk losing, and because Gd taught us in creating and forgiving humanity that taking a chance is not only permissible, it is imperative. And a third gamble: When it comes to our spiritual lives, we need to take chances in this laboratory world as well. We spend so much of our religious lives working off of old ideas - stories we learned in grade school or Hebrew school and have not examined since, beliefs our parents conveyed to us and we never really questioned, empty stereotypes of Judaism, practices we perform regularly or ignore regularly. Of what value is a religious life unexamined?! Of what value is a Judaism that substitutes ritual for thought, scenery for substance, rote for re-examination? Prayer which is unexamined rote needs risk-taking to shake it up. Shabbat without thought, whether spent in shul or at home or at the mall, needs risk-taking to shake it up. Every mitzvah is available for us to re-examine and re-invent at every opportunity, so that it is new every time. All of us - those who are here for the first time since we sounded the shofar at the end of last Yom Kippur, and those who come here every morning and evening - all of us can take chances today. We are taught that Gd gives us the Torah היום, today, each and every day, בכל יום יהיו בעיניך כחדשים, each day these laws, these ideas, should be new in our eyes, like the first day we heard them, like the moment we stood at Sinai. Of course, religious re-examination is hard; it’s a threat to the status quo. It might lead us to do more, it might lead us to do less. We might read the Torah and come away believers; we might read Richard Dawkins and come away heretics. That kind of unpredictability is uncomfortable. We love our stability. But this is precisely why we must take chances - because the status quo is seductively comfortable, and profoundly unacceptable in its seduction. Yes, doing so risks making the wrong decision - but in creating humanity and in forgiving Adam and Chavah, Gd taught us that failure is acceptable, so long as we take a chance. The only falsehood is the decision of אל יברא, the decision not to gamble at all. Some 2800 years ago a prophet named Eliyahu stood astride a mountain and challenged the priests of the Canaanite idol, the Baal. Right in the middle of their territory and under the nose of their royal supporters, Eliyahu dared the priests to bring a public offering to their god, and to summon fire from heaven, in front of the assembled nation, to consume the offering. As the priests carried out their rituals Eliyahu taunted them, asking if they should not pray louder; maybe Baal was sleeping, or chatting with someone, or in the bathroom. He was Stephen Colbert and Jon Stewart and Billy Crystal in one, commenting on the Baal rituals for the amusement of all - and putting himself further and further out on a precarious limb, if he should fail to deliver in his own offering. When the priests of Baal had failed, Eliyahu built an altar and had water poured all over it, once, twice, three times. Then he cried out, beseeching Gd to reveal His authenticity to the nation - and a fire came down from Heaven and consumed the offering, the wood, the stones, the dirt - and even the water. Eliyahu bet his beliefs, he bet the beliefs of the public, he bet his very life, on a distinct longshot - because it wasn’t a selfish gamble for his own sake, it was a gamble for the sake of the nation. He was willing to bear defeat - and he didn’t lose, he won. Even as we shoulder the burden of Wall Street’s profligate gambles, remember that their mistakes should not dictate our future. A selfish gamble will never be rewarded - but using Gd’s forgiveness as a model, we endorse selfless gambling. Losing is acceptable, and part of the enterprise that is this world. Gd gambled in creating us, and Gd did it again on Rosh haShanah 5768 years ago in forgiving Adam and Chavah; today, as we hear the Shofar blasts and contemplate our paths for the coming year, we are blessed with the opportunity to do the same. 1. The poem at the end also comes via Rabbi Axelrod. Avraham's reconciliation with Yishmael is a theme I first appreciated from Rabbi Schacter's elaboration thereon at a Yarchei Kallah program. 2. Ibn Ezra is the one who says HaShem forgave Adam and Chavah; others have other explanations. The midrash on Creation is from Bereishit Rabbah 8:5. The Shulchan Aruch's reassurance regarding tzedakah is Yoreh Deah 247:2. 3. I worry about being too cavalier for some people who are reluctant to ignore financial peril, and too harsh for others who cannot afford to ignore financial peril. But I truly believe in this ideal, I live it, and I believe it is my job as Rabbi to promote it. 4. I had a million topics to talk about today - Israel, Agriprocessors, various electoral issues, and so on. But, to me, Rosh HaShanah and Yom Kippur are fundamentally about working on ourselves, about making ourselves the best we can be, and so this is the route I chose to go. If I publish Day 2, you'll see the same thing there. I don't know how the universe knows. It was a leap year this year, and that should have fooled the universe, but nope, the universe knows. It always knows that Rosh HaShanah is coming, and it holds the disasters for that week. I, like a fool, write my Rosh HaShanah derashot three weeks in advance, to clear the table for work on Shabbat Shuvah, Yom Kippur and Succot. Then, right before Rosh HaShanah, the world turns upside down and I need to change my topic. In 2001 it was the September 11th attack on the World Trade Center. In 2002, if I remember correctly, the market tanked that week. In 2005, a very close friend and key person in our community was killed in a car accident. Other things in other years, I forget the specifics at the moment. And this year, the banks collapse and the President gets on the television to let anyone who isn't already panicking know that it's now time to panic. I don't mean to whine about speechwriting while the world burns, really. I'm certainly not trivializing the disasters I just mentioned. I'm just feeling sorry for myself as I sit here on Thursday afternoon and try to write a derashah for Shabbos and another one for Rosh HaShanah, trying to say something new and meaningful to people who are scared that their retirement savings may disappear, that their investments for their children's college education are turning into so much toilet paper, that their jobs may be downsized or outsourced as companies are stressed beyond their limits. or just plain silly (this is a punishment for that sin)? Always, always, the week before Rosh HaShanah. I know some don't like this phrase, but it's a gemara (Megilah 31b) so I'm justified: תכלה שנה וקללותיה, May the year and its curses come to an end. תחל שנה וברכותיה, may the new year and its blessings begin. Still trying to catch up on my Daf notes. It should be easier as we conclude the Tisha b'Av passages and move into more law-oriented material... For those who are looking for other material, jump down to read about my neurotic dream, or go here to read my rejection of the tyranny of 120. I wonder if the 40 Seah and 9 Kav reference, regarding the quantity of tefillin of the Betar victims, is connected to the purification that comes from immersing in 40 Seah or, in certain cases, standing beneath a flow of 9 Kav of water. R’ Yehoshua ben Chananiah is the one to encounter a Jewish prisoner in Rome because he was involved with the Roman aristocracy in general, as we see in many places in the gemara. On the imprisoned child’s “ordered hair קווצותיו תלתלים,” see Nazir 4b on the righteous Nazir, who has the same description. The imprisoned child, a young R’ Yishmael ben Elisha, completes the pasuk begun by R’ Yehoshua ben Chananiah. R’ Yehoshua ben Chananiah is impressed, and he declares that he Is certain this child is providing/will provide halachic rulings for Israel. One standard explanation is that he is impressed by the child’s knowledge, as well as his acceptance of Divine judgment (as expressed in the pasuk he quoted). However, note that in a similar passage in Nazir 29b with R’ Chanina, the child actually is offering a ruling with his statement, now. The same could be true here – perhaps the future R’ Yishmael ben Elisha is “providing a ruling” by completing the pasuk, reminding R’ Yehoshua ben Chananiah that one may not cite only half a pasuk. Note that there are at least 2, and possibly 3, sages named R’ Yishmael ben Elisha, like this child in the story. See Tosafot Yevamot 104a אמר. See Tosafot כל ממון on the problem of ransoming captives for an astronomical amount of money, and see my comments on another Tosafot here. Our Tosafot adds a justification to the three items already on the list of justifications in that other Tosafot: A captive whose life is in danger. See Tosafot דכולהו on why Rebbe did not vote first in his beit din – as a matter of procedure, or as a matter of personal humility. I think R’ Yitzchak Nafcha’s pasuk adds to Rav Matnah’s pasuk, because it is in a context of the kohanim receiving a gift – an honor which is like that of an aliyah. The gemara here justifies the recording of works of aggada (extra-legal comments on Torah passages), despite the standing prohibition against recording the Spoken Torah, because otherwise people would forget them. This practice of writing things down preceded the recording of the mishnah; we find in the gemara references to מגילת סתרים, scrolls recorded and kept in secret, for example. Sfat Emet to Megilah 3a notes that the prohibition was against publishing these scrolls, not against recording them. Pnei Yehoshua to Megilah 3a observes that the concern that drove the sages to write down the Spoken Torah was not really about forgetting, but rather was about the intramural division and strife that would result from that forgetting. Note that Rashi and Rambam disagree on the meaning of בסירוגין here. The gemara talks about not having “shofar” rotate from place to place, lest people think it is being moved because of a problem at the first site. See Rashi’s two views on what they mean with the “shofar” here, and Tosafot’s reason for preferring his second explanation. 1) The Kosher Cooking Carnival is here; thanks for the great billing, Isramom! And while we’re on the topic of cooking, the wonderful Rebbetzin came across a great-looking Rosh HaShanah recipe, “Roasted Chicken, Apples and Leeks,” here at Real Simple. Facebook Profiles Can Be Used To Detect Narcissism. Thank you for making this possible with your tax dollars, and your contributions to your university’s endowment fund. Pack an old-fashioned bag-and-thermos lunch, but swap the typical PB & J for something more interesting, like Roasted Sweet Potato and Apple Soup and Cucumber and Goat Cheese Sandwiches. It’s not that unusual for me to experience a stress dream about having a Torah-reading problem. I am the shul’s regular baal keriah, I lein all the time, so this is the equivalent of a public speaker dreaming about getting up to speak and finding he can’t read his notes, or a chef dreaming about not being able to locate the salt. The dream was also missing a key realistic element, which makes me more likely to dismiss it: That sentence comes from the shirah of Haazinu, which is written in the Torah in poetic columns, but in my dream it was in the Torah’s normal paragraph format. Even in the middle of the night I would remember that detail; Haazinu is one of my favorite segments in the Torah, with its beautiful poetry. Still, the dream disturbs me. It’s a reminder to speak about Israel, our נחלה/inheritance, more often. It’s a reminder to speak about Jewish unity, which makes us a single portion of Gd. It’s a warning of guilt for me; our status as Gd’s inheritance relies on the merit and covenant of our ancestors, and I am not living up to that merit and covenant. I don’t know. I’m not about to declare a תענית חלום (taanit chalom, a fast undertaken to atone for one’s sins, triggered by a frightening dream) for myself, but I wonder what was going inside my head last night. Lion of Zion, if you want to shed light on the leining issue, go ahead. Therapydoc, you're welcome to weigh in on the dream. We continue the “Tisha b’Av” gemara regarding the destruction of the Beit haMikdash and the fall of Beitar. For those who are looking for something other than Daf Yomi notes, feel free to skip down for an article on surviving the 120-year death sentence. Titus slashes the parochet curtain before the Ark, and sees blood emerge; he believes that this shows he has done something to Gd. The Maharam Shif suggests that the blood may have been from the sprinklings of the Kohen Gadol on Yom Kippur, but this is problematic. As Maharam Shif notes, the sprinklings were toward the curtain rather than on it – but, also, the gemara here states explicitly that the emergenc of the blood was miraculous. The gemara refers to Sisra drowning in water; that may be a reference to his chariots becoming stuck in the mud, or to Yael’s substitution of milk for water, which led to his death. Abbaye uses the Aramaic word נקטינן here to introduce an aggadic observation. That’s odd; נקטינן is normally used regarding legal statements. Regarding the identity of Onkelos in the story of Onkelos and Titus and conversion to Judaism, Mahartz Chajes discusses this and notes that he is not the Onkelos who recorded an Aramaic commentary on the Torah. It is suggested that, in this passage, either Bilam, or “the sinners of Israel” are meant to be a reference to Jesus. Regarding the three great cities on Har haMelech, the Yerushalmi has a different take on the explanation of Kfar Shichlayim and Kfar Dichraya. See also the Maharsha here. The gemara here calls Israel ארץ צבי, but I don’t believe such a term appears in Tanach. The citation from Yirmiyah 3:19 is actually ארץ חמדה נחלת צבי צבאות גויים. Either way, the literal meaning of צבי in context is to connote something desirable – the desirable/desired land. The Babylonian Nevuzaradan’s decision to write a will for disposition of his assets before converting to Judaism is a rebuke to Achitofel, who betrayed Dovid, was caught, and then wrote a will disposing of his assets before strangling himself. Bava Kama 91b clearly prohibits suicide. Bereishit Rabbah 34:13 shows that we have exceptions – Shaul, as well as Chananiah, Mishael and Azariah. Mitigating circumstances include certain death (Radak Shemuel I 31:5) and fear of having to violate one of the sins which warrant ייהרג ואל יעבור, death before violation (Tosafot Avodah Zarah 18a). Pain, as a mitigating factor, is hotly debated but generally rejected for active suicide – see Avodah Zarah 18a, Chatam Sofer Yoreh Deah 326:3 and Shut Beit Efrayim Yoreh Deah 76. There is much more to say, but any discussion would be incomplete if it did not include the story cited by Ritva (I forget where) and the Beit Yosef (Yoreh Deah 157), of the rabbi who was involved in his community’s mass suicide to avoid the crusaders, and who lived to see the decree against the community annulled, so that the deaths were unnecessary. See the horrible details there. Note that the story does not involve anyone named Chanah; that name doesn’t appear until the 15th century or so. See three versions – ours, the Maharsha’s and Eichah Rabbah 1:50, all of which offer different orders of pesukim recited by the seven children. The Maharsha and the Yefeh Anaf explain why each child chose a different pasuk. The Maharsha matches each pasuk to a day of the week; Yefeh Anaf on the midrash shows that each pasuk responded to a different claim made by the Roman. Bit a hundred un svuntzik (or however that should be transliterated)! You should live to be 120! Yes, there's even a website: till120.com. Not for me, though, sorry. First, I am mortophobic. Deathly so, even. Second, because I have never seen a source for the 120 limit in mainstream Jewish tradition (I do recall seeing one edition in Bereishit Rabbah many years ago, but not since) and I have seen mainstream sources militating against it. The first source people cite to justify this artificial endpoint is Bereishit 6:3 לא ידון רוחי באדם לעולם בשגם הוא בשר והיו ימיו מאה ועשרים שנה. Before bringing the Flood, Gd declares that there will be an end to Divine patience with man's corruption, "and his days will be 120 years." This source seems compelling, until we realize that the Torah records all sorts of people living long past 120 years, both before and after this decree. Indeed, the Talmud Yerushalmi (Nazir 7:2) asks this question explicitly. The Yerushalmi explains that the Torah's sentence is not referring to human lifespan, but rather to the length of time it takes flesh to reach a certain stage of decay. Avot d'Rabbi Natan (v.1 #32) offers a different answer, which Rashi cites on the Chumash, that there will be 120 years from that moment until the Flood. Either way, though, Jewish tradition does not accept the idea that this biblical verse limits man to 120 years - and we will soon see sources which say fairly clearly that we are not limited to 120 years. The second source people cite is regarding Moshe. So some take this as an indication that a complete life is 120 years - an idea which is buttressed by the gemara's statement that R' Akiva and R' Yochanan ben Zakkai both lived 120 years. However, that is clearly not the import of this gemara; the gemara's point is that Moshe gets a full year, dying on his birthday. In fact, the gemara indicates that even post-Tanach, we have no limit of 120 years. Megilah 28a records that on his deathbed, R' Yehoshua ben Karcha gave Rebbe a blessing: "You should live half as long as I have lived." As Tosafot (Bava Batra 113a ומטו) notes, that isn't much of a blessing, assuming a standard lifespan for R' Yehoshua ben Karcha. Even at 100 years old, who would say, "You should live to be half my age?" Rather, Tosafot says, R' Yehoshua ben Karcha must have been at least 140 at that point. Tosafot there is not discussing age limits; his comment is part of a separate discussion about whether R' Yehoshua ben Karcha could have been the son of R' Akiva. But without batting an eyelash, he assumes that R' Yehoshua ben Karcha lived to be at least 140. And none of the supercommentaries jump on Tosafot to demand an explanation of this anti-120 heresy. So, to me, it seems clear that we need not limit ourselves to 120. Mind you, I've sat at enough deathbeds with people who were grateful to pass on, and I have had plenty of elderly people tell me that the old punchline, "It's better than the alternative," is not eternally true. But, for me, I'd prefer you not use עמו"ש after my name. I ran the following column in the Allentown Morning Call. It's a truncated version of a drasha I delivered in August. Unemployment spiraled. Prices for food and fuel skyrocketed. A federal authority struggled to keep businesses and individuals afloat. And leaders arose who declared that we could solve all of our problems if only we would accept mutual responsibility, who harnessed the power of government to protect the common citizen. It may sound like 21st century America and a modern political platform, but it’s not - the scene was actually 2200 years ago, in Judea, as Jews struggled under Roman oppression and grave economic strain. Enter the Jewish Sages, who were political as well as scholastic leaders; they took key economic steps to protect the common citizen. According to biblical law, loans are a mechanism of charity for the needy: Lenders may not collect interest (Exodus 22:24), and so the borrowers receive capital at no cost, and the lender absorbs all of the risk. The downside is that in times when cash is tight, this charitable form of lending dries up. Therefore, the Jewish sages legislated protections for lenders - ensuring that loans would be re-paid with solid currency and simplifying the collections process - so that the flow of charitable loans for the needy would continue. The Jewish leadership did this because they believed, based on biblical language regarding the commandment of tzedakah (charity), that Judaism requires communities, and not only individuals, to look out for people in need. It is well known that the Bible requires individuals to look out for those in need, with instructions like “Love your neighbor” and role models like Abraham and Sarah who took in guests. But here the Bible taught a new and more robust lesson: That communities must also harness their power to help those in need. In this regard the Bible argued against the economics of Milton Friedman, who declared that a corporation owes a debt only to its funders. Jewish tradition teaches that corporations must have a selfless conscience as well, and must seek to meet the needs of society’s members. This leads to some interesting, progressive, policy decisions. In one example, Israeli economist Dr. Meir Tamari has concluded that, “In our day this would seem to apply to the pollution of the atmosphere or water through industrial wastes.” Indeed, there is precedent for precisely this conclusion in the millenia-old Talmudic requirement that certain businesses, like threshing floors, tanneries and kilns, locate beyond city limits. Sometimes our neighbor is poor, and then we must feed and clothe him. Sometimes our neighbor, she is ill, and then we must cure her and heal her. Sometimes our neighbor, he is bereaved, and he requires us to console and to comfort him. And sometimes our neighbor has been traumatized, and then we must render her whole… We must fashion a culture which is defined by loving kindness and by compassion. These are not small words, this is a significant mission - and it traces back to that biblical commandment of tzedakah and the basic sense that community is responsible for more than its members. Judaism is not inherently Republican or Democrat, but the message of biblical text and rabbinic application on this topic is clear: Living biblically means more than giving of our own wealth to aid others. It also means harnessing the power of communities to do the same. I have been in a lot of turmoil over the past couple of weeks. Part of that turmoil came from anticipating today’s date – the third yahrtzeit of a beloved friend. It doesn’t help that the calendar is the same this year, as it was when he was killed in a car crash three years ago. It was a Shabbos, the Shabbos before Selichos, just like today. I walked past his house today. I remember every detail like it was happening right now. I’ve been dreading this day for weeks. And part came from the doings of my own foolishness. I am exposed to lashon hara all the time, listening to people’s complaints about other people and about institutions and telling myself that I can’t accept these words at face value – and I’m usually pretty good at it. But this week I listened to someone and it sank in as Truth, and the result in my own actions was very ugly. It will take quite a bit of time and effort to get past this political mess. And part of the turmoil, of course, came from this being Elul, and from working on speeches and classes, etc, as we have discussed, and from going without sleep in order to get all of that done. And part came from anticipating tonight’s job of doing a cheshbon hanefesh, accounting for my mistakes of the past year and of past years, apologizing and repenting and trying to figure out how to move on from there. Well, tonight, while waiting for chatzot [halachic midnight] and Selichot, I wrote up my accounting… and the surprising result was a real feeling of calm, my first in a while. I looked at my list from last year, and – as always – had very, very little to remove. And I had a couple of items to add. So the calm doesn’t come from any sense that I’ve done better than in the past. It doesn’t come from feeling, “I haven’t gotten much worse,” either. For the most part, it just comes from feeling much more under control, much more like I know what I am doing, what I still have to do. I feel like I understand where I have messed up, and what I can do about it. I still have to work on my list of תקנות for this year, things I plan to do differently, to reduce my problems and flaws. That will come over the next few days, I hope. And then, Gd-willing, the וידוי (personal admission of sin) and, we hope and pray, an inscription and sealing for a good year. Still catching up, but I have tons of notes on 56-58… For those who aren't into this, feel free to jump down and see my comments on the Agunah crisis and on the rabbinic role in End of Life situations. The gemara asks why a cheresh (deaf and mute person whose intelligence cannot be ascertained and who cannot be educated) could not eat terumah; after all, she would be like a child, who is not obligated in mitzvot, and may therefore eat non-kosher food. Note that this permits a child to eat non-kosher food, but it does not permit us to give him non-kosher food to eat – and the same would be true for a cheresh. Therefore, one need not stop a minor or a mentally challenged person from eating non-kosher, but one may not actively give that person non-kosher food to eat. See the comments of Aruch haShulchan Orach Chaim 266:15-16. The ban against giving a cheresh terumah d’rabbanan lest he give a chereshet terumah d’orayta must be a case of חדא גזירה היא. The gemara says that the sages decreed that a stolen sin offering would be valid, lest kohanim be upset that they had been fooled into bringing an invalid, stolen offering. But how can the sages make an offering acceptable?! I presume this is a case of hefker beit din, the sages removing the item from its owner, as we have discussed in other cases. The gemara here presents a decree against using stolen offerings, lest people say that the altar consumes stolen goods. It is not clear to me why this should be a concern – if the practice is truly legal, then what kind of kiddush HaShem is there in altering that law?! Here we arrive at the famous “Tisha b’Av” gemara, so named because it deals with the destruction of the two Batei Mikdash [Jerusalem Temples] and the destruction of Beitar, so that one is permitted to learn this mournful segment on Tisha b’Av, even when the normal joy of learning Torah is prohibited. I don’t have the time to transcribe all of my notes on this gemara, but I’ll include some ‘highlights’. Note that the anonymous host of the party invites his guests via a servant, but he kicks out the guests with his own two hands. As we see regarding Bilam’s saddling of his donkey, השנאה מקלקלת את השורה, Hatred corrupts the normal order of things. On the blemish to the animal’s mouth or eye, see the Maharsha’s comment on what Bar Kamtza was trying to say by creating these types of blemishes. I was horrified, some years ago, to hear a well-respected rav and rosh yeshiva speak on the story of Bar Kamtza and arrive at the statement that the Beit haMikdash was destroyed because of ענוותנותו של ר' זכריה בן אבקולוס, the humility and patience of R’ Zecharyah ben Avkulus, and give a bizarre, original reading in an attempt to explain how this word might apply to R’ Zecharyah’s rejection of killing Bar Kamtza and rejection of bringing the korban. This is what happens when we refuse to read alternative editions. The midrash in Eichah Rabbah has this story, but adds one detail which makes everything clear: R’ Zecharyah ben Avkulus was at the party at which Bar Kamtza was humililiated, and he did not protest, feeling he was not worthy. This perfect fits ענוותנותו as it is used here and elsewhere, and no creative twisting is necessary. The Nero mentioned here was not Emperor Nero, but rather a general by that name. See the Maharam Shif. Nero’s refusal of his mission to destroy Jerusalem is important – it matches the Rambam’s point regarding Nevuchadnezzar and Free Will, that even if Gd wants something bad to happen, you don’t have to be the one to do it. The gemara’s mention of “hungry as a dog” here is interesting; in the interest of clean language, we usually prefer to say “as a goat,” per Pesachim 3b. Marta bat Baytus is not an actual name. “Marta” is a Matron, the feminine of Mar. Baytus (Boethus) was a wealthy family. Maharsha notes the parallel between the 4 types of flour and the 4 flour offerings of the Beit haMikdash. Marta and her servant both don’t think ahead, to realize that soon everything will be gone from the market. This reflects the general feeling of Jews of that time, that things couldn’t get any worse and that Gd would save them. Rav Y. D. Soloveitchik used to make this point on the kinah of שבת סורו, that, per Yirmiyah himself, the Jews always believed that HaShem would save them. The reference to Abba Sikra as head of the Zealots is interesting; there were Sicarii zealots around, per the historians, known by that name because it was the title for the dagger they used. This also fits the Aramaic of סיקרא – Sikra for the color red (as in חוט הסיקרא and a red ink called סיקרא). Several modern dilemmas of halacha have been waiting eons for creativity to help us save our own society (I am thinking especially of msuravot get). The same level of creativity called upon to unite the Noachides, could be harvested to disband a suffering union. ALN’s words made me realize that there is a disconnect between the experience of many community rabbis and the perception of the broader Jewish community, regarding the issue of msuravei get (people whose spouses refuse to cooperate with divorce) and agunot (women whose husbands have disappeared). To put it simply: Community rabbis see the many, many cases in which they successfully arrange for gittin or otherwise free spouses, despite very difficult circumstances. The public, though, only sees the headline cases, in which the rabbis fail. Clearly, even one case of a woman – or man – who is unable to be divorced is too many. We can never be satisfied with our successes. However, I wish people knew how much sweat and creativity our community rabbis do currently put into enabling gittin, and how successful many of us are in doing so. I have had cases in which a wife has adamantly refused to receive a Get, in order to hurt her husband or in order to get a better financial settlement. I never want to go the heter meah rabbonim route, so I have had to find ways to make the wife comfortable with receiving a Get. I have had cases of husbands who have refused to give a Get. It’s usually a financial issue, but there are ways to deal with that – most often by holding the petur (document licensing re-marriage) in escrow until the financial package works out in the civil courts, or by using social pressure. I have also raised money to make the Get possible. In one memorable case I called the stubborn husband’s 80-year-old mother in Israel at 2 AM her time, to let her know what her son was doing. Fifteen minutes later he was on the phone with me, agreeing to give the Get. For the more recalcitrant cases, and for cases of agunah where the husband was incompetent to present a get, legitimate halachic authorities use other approaches, including finding reasons to disqualify the original marriage. My experience is not unique; I know there are many rabbis in my shoes across the United States (I ma not as familiar with the international scene), doing the same things I am doing, every day. There will always be people who will argue that rabbis possess, and should use, the power to change the rules altogether. Feel free to tell me that rabbis aren’t using the legislative authority assigned to us by the Torah; I disagree, but I know what you mean. But do realize that we are trying hard, within the parameters we understand to be the halachah, to set the agunot and mesuravot get free. And please, please, use the halachic pre-nuptial agreement endorsed by the Rabbinical Council of America. It’s quick and easy, and if everyone would use it, it would save lives. Chana at Curious Jew has done a great job here providing a sense of the September 14th “End of Life” medical ethics conference held by Yeshiva University/Center for the Jewish Future. I wanted to attend but could not make it, so I’m glad to have this summary until any audio recordings are disseminated on-line. A lot of it comes down to the rabbi’s own insecurity, which leads him not to volunteer counsel, both before the fact and in the heat of the moment. *Rabbis often feel unequipped to answer these major questions, and are reluctant to put themselves in this tough situation unasked. The best solution for this, in my experience, is for the rabbi to attach himself to a major authority, to whom he can ask any question. I have been blessed with the opportunity to do this with a doctor/posek considered by many to be the last word on these issues. He has been wonderful; he is in Israel, but he answers emails within hours, with clear and detailed responses. His medical knowledge is so complete that he can tell me what I am describing and add in further medical information, correct information I have been given, and predict what will happen and what the next question will be, etc. And always with the utmost patience and respect. A true gadol. *Rabbis often fear that families will not be receptive to their advice, and do not want to set up an opposition with them. Many rabbis – hopefully most of us – enter this field to help people. We don’t want to create conflict, particularly with people who are experiencing the pain of losing a spouse, a child, a parent, a friend. Rabbis are particularly fearful of volunteering counsel when they are not confident that their advice is accurate – which brings me back to point #1 above. *Rabbis sometimes encounter physicians who appear unreceptive to rabbinic involvement, and that preys on the rabbi’s own insecurity. Clergy in hospitals, including professional chaplains, often feel that they are second-class citizens in the hospital atmosphere. Eleven years ago I sat at a clergy conference in a Veterans Hospital in Rhode Island and heard Father Crowley speak on precisely this point; many physicians don’t respect the role of spiritual inspiration for patients, let alone the guidance of religious law. In truth, sometimes the perception of physician resistance is only projection, but sometimes it’s a reality. I have faced physicians who have actually lied to families in order to convince them to “pull the plug.” I’m not talking about oversimplifying medical facts; I’m talking about outright falsehood, as in, “We need this bed for a patient in the ER,” when such was not the case. All of these problems can and must be solved as rabbis do the research, gain experience, and consult with leading authorities. Gd-willing more rabbis will learn about this in-depth and develop the expertise needed. Saying שב ואל תעשה, to say nothing rather than risk error, is inappropriate; a rabbi should never pasken when he doesn’t know, but it’s equally criminal to withhold psak when he does know. As a general rule, I would not recommend looking at the Torah for Parenting models; the Torah presents many examples of dysfunctional families, and very little guidance in terms of what parents can do right. Kayin and Hevel, Yitzchak and Yishmael, Yaakov and Esav, Yosef and his brothers - this is not the place to look for advice on raising kids. But at the start of Parshat Ki Teitzei, in the controversial law of בן סורר ומורה (ben sorer umoreh), the rebellious 12-year-old who is put to death, the Torah teaches us a very important lesson in how to raise a family. I am not the first to say this; Rav Shlomo Eliezer Eidels, in his 16th century commentary to the gemara, argued that the whole point of the בן סורר ומורה segment is to teach us about parenting. The gemara noted that because of legal nuances, the בן סורר ומורה is physically impossible; it has never happened and it cannot happen. It is recorded in the Torah for us to learn it and thereby receive reward. This promised reward, says Rav Eidels, is the fruit we will receive when we follow the lead of the story of the בן סורר ומורה. So Rav Eidels contended that the purpose of recording the law of בן סורר ומורה in the Torah was to teach Jewish parents to scold their children. In Rav Eidels’s own words: ע"י זה יוכיחו וייסרו את בניהם, when parents read this section and see what can happen, they will be inspired to rebuke their children. I agree that this law presents parenting advice - but, במחילת כבוד תורתו וגדולתו, to me, the message is precisely the opposite of what he intended. It does not teach parents to rebuke their children; rather, it teaches parents that, often, the best approach is more sophisticated. My proof is in the law ofבן סורר ומורה itself. This child who is off the rails, who is such a danger to society that he must be put away, is not unrebuked, he is not the product of parents who fail to teach him. As the Torah itself says, ויסרו אותו ולא ישמע אליהם, his parents rebuke him and he fails to listen. The parents report, איננו שומע בקולנו, He won’t listen to us! And the beit din whips him for a warning, and he continues to sin anyway. The message of בן סורר ומורה is not, “Go rebuke!” Rather, the message is that although sparing the rod may spoil the child, using that rod can do a fair bit of damage, too! Let’s look more closely at the בן סורר ומורה, and understand the nature of this child’s problem, and then we’ll understand what the Torah is teaching us. The בן סורר ומורה is, essentially, an addict. He loves meat and wine - but, stresses the gemara, he doesn’t eat especially fine meat, he doesn’t drink especially fine wine. He isn’t a gourmet; he’s stuffing his face with whatever he can find. The בן סורר ומורה steals in order to feed his habit. The gemara stresses that he steals from his parents, because that’s a money supply that’s always around, and so he is able to develop the addiction. And eventually, according to the gemara, he will kill in order to be able to feed this addiction. בן סורר ומורה is a lesson in immunizing our children to addiction. Rabbi Dr. Avraham Twerski is a world leader in addictions treatment and founder of at least two drug rehabilitation centers, and he points out in many of his books that addiction often comes from a search for happiness, or, at least, a desire to escape unhappiness. The addict is not happy with himself, he’s not happy being himself, and so he seeks an escape. Our בן סורר ומורה finds a way to lose himself in gluttony and alcohol, and he becomes so dependent upon them for escape that he will do anything to get them. Others have other addictions. Look at Paroh in Tanach, and his addiction to power and control. There are people who are perennially convinced that their next relationship will be the one to bring them happiness. Look at people who spend on the newest fashion, car, extension for their home, whatever, seeking that which will end the misery that is their current life and bring them lasting joy. With בן סורר ומורה, the Torah tells us that we can’t tell these addicts to snap out of it. We can’t yell at a child for pursuing pleasure, and expect that he will suddenly become happy with his lot. When it comes to protecting our children from addiction, “Just say no” is of limited use. Some parents try another tack: Rather than fight it, they try to provide the happiness that their children seek. Disneyworld, the latest toys and fashions, school and camp wherever the kids want to go... This is the anti-בן סורר ומורה - but, as we all know both instinctively and empirically, this doesn’t work, either. King David had a son named Adoniyahu, and Tanach tells us that he refused to rebuke Adoniyahu, he never saddened this son of his. So Adoniyahu, accustomed to getting his way, launched a coup to take the throne. And when he was defeated, and his life was spared, he tried again! You can give a child every object in the world, every experience imaginable, but that will not give a child happiness. Rather, to quote Rabbi Dr. Twerski from his wonderful book, “Positive Parenting,” the job of a parent is to provide a child with the skills for achieving happiness on his own. When children grow up to become adults who can make themselves happy, then they don’t need to pursue food or alcohol or drugs or power or acquisitions - they are happy on their own. Parents can do this, parents can provide these tools for their children, if they embrace a mystical concept called צמצום (Tzimtzum). צמצום means withdrawal. In mysticism, it refers to the way that Gd creates the universe and embraces all of it, but simultaneously withdraws immanent control and permits us freedom of choice. In the parenting world, צמצום means that we step back, that we are careful not to overshadow our children, that rather than rebuke harshly, we show our children respect as individuals and we help them learn to make themselves happy. *צמצום means that when a child breaks a rule, we don’t take it personally and demand an apology for having broken our rule. An apology may be appropriate - but it should never be about our parental egos. צמצום - our egos are not present at all. *צמצום means that we don’t put ourselves out there as stars; we don’t excel in front of them in a way that will intimidate them. If I think my daughter might be insecure about how fast she can run, I don’t show her how fast I can run. If I think my son might be insecure about his reading skills, I don’t comment in front of him about how many books I have read. צמצום - we remain in the background, rather than make ourselves the focus. *צמצום means that we don’t solve problems for our children to make them happy; rather, we help them figure out how to solve problems and make themselves happy. Rabbi Dr. Twerski tells the fictional story of a child, Notti, who comes home from school and complains about a teacher. Notti had answered a question in class, and the teacher had said it was the dumbest answer he had ever heard in his entire life. Of course, what the teacher did was grossly inappropriate, and the parent can talk to the principal - but telling Notti that he’s going to intervene is the opposite of צמצום; the parent is now solving the problem, instead of teaching Notti to do it. As Rabbi Dr. Twerski asks, “Are Notti’s parents going to intervene 20 years later when Notti’s supervisor at work mistreats him?” Rather, Notti’s father could say, “Boy, you sure got yourself a humdinger of a teacher this year.” Then the father and son can talk about tough teachers, and Notti can come to the confident conclusion, on his own, that he can withstand the ineptitude of a poor teacher. This is צמצום - stepping back and allowing the child to be the one to solve the problem. Of course, צמצום does not mean that the parent is absent. Absentee parenting is criminal negligence. צמצום is the art of being home, being present, being involved, and yet removing one’s ego, not being the overshadowing star, and helping our children gain self-confidence and learn to solve their own problems. I should note that this concept of צמצום is important not only for parenting, but also for the way we interact with each other. True, we aren’t each others’ parents - but the more we employ צמצום, avoiding overshadowing others, avoiding taking control of situations, the more we can help others to shine. Rabbi Dr. Twerski never uses the term צמצום in his book; that’s just my own watchword. Nonetheless, the message of צמצום is there throughout his book. I’ll close with one story, which I believe encapsulates the message perfectly. When Rabbi Dr. Twerski was a child, one Rosh haShanah, his family hosted a visiting rabbi. On Rosh haShanah afternoon the rabbi invited him to play chess. Young Avraham Twerski thought this was inappropriate for the day, but the rabbi assured him it would be fine. They played two games. My father said nothing. He returned his gaze to the sefer, and slowly, barely perceptibly, shook his head in the negative. The message was clear: Even if technically not forbidden, it was not in the spirit of Rosh haShanah to play games. I felt terrible. I had desecrated the holy day. “Twice,” I said, softly but happily. There was none of the ויסרו אותו rebuke of the בן סורר ומורה. There were no lashes, there was no courtroom drama, no apologies were demanded. The father said as much as he needed to say, and then, in an act of צמצום, he withdrew himself and his disapproval from the scene and allowed his son to re-establish his self-esteem. Regarding this story, and the overall lesson of צמצום, I echo the words of the gemara and Rav Shlomo Eidels for all parents: דרוש וקבל שכר, Learn it, and you will receive reward. 1. The comment from Rav Shlomo Eidels is in Maharsha, Chiddushei Aggadot to Sanhedrin 71a. The Hebrew I quote from Maharsha is what I believe to be the correct text. The one printed in the Vilna shas has מכפה instead of מחפה, but is clearly a mistake by a sofer thinking of יכפה אף. 2. Many are bothered by the point I raise, that the parents of the בן סורר ומורה did, in fact, rebuke him. This leads them to analyze the Torah's text and find hints at why their rebuke was inadequate - such as the idea that the parents did not rebuke with the same voice. 4. The fictional story of Notti is on pages 65-66 in Positive Parenting; the chess story is on page 236. Getting closer to catching up on my Daf Yomi notes. Bored by this? No problem; jump down to read about how Israel, with Large Hadron Collider, creates Black Hole to destroy Palestinians. See Tosafot וכי; I find this read simpler than that of Rashi. Our gemara here makes a psychological assumption which, I think, requires explanation. The gemara says that a borrower who could not pay back his debt might deny part of the debt in an attempt to stall full payment, but he would not have the chutzpah to deny the debt entirely, in front of his benefactor. Therefore, if a defendant denies a debt entirely, we trust him. In our day, this seems strange – of course people would lie! But I think that’s partly a function of the change in lending habits. Today, individuals rarely lend significant sums of money; institutions are the lenders, with their mortgages. But in the days of the gemara, as I have explained elsewhere, interest-free loans were the chief engine of tzedakah from one individual to another. Therefore, the borrower, knowing he has received hefty tzedakah from the plaintiff, would not have the hubris to deny the tzedakah outright and in entirety. The gemara here says that court-appointed guardians cannot perform mitzvot for his charges using their funds, if the sums that would be spent would not be known and fixed (קצבה). Mezuzot are considered to have a known, fixed value. Tzedakah, on the other hand, does not. One might argue that tzedakah has a fixed value, 10% of income, but that would not be correct. We have two separate mitzvot of tzedakah. One is the requirement to give to needy people who are standing before us, and there is no limit on that giving. The practice of giving 10% is a separate custom of allocating 10% of our income to tzedakah, and going to find needy people to whom we will be able to distribute it. The gemara here says that dreams “לא מעלין ולא מורידין,” have no practical import. This would seem to clash with the idea that dreams have some element of prophecy, a view held by many sages! Of course, the most famous passage of gemara on this theme, in the 9th chapter of Berachot, offers both views. Ibn Ezra, though, among others, argued that the majority view is that dreams do have great prophetic significance! R’ Yehudah haChasid (Sefer Chasidim 444) argued that dreams are considered prophetically significant. He explained our gemara to mean that if one sees in a dream that he should do something wrong, then he should say that dreams are insignificant. This fits our gemara, in which the dreamer (Rabbi Meir) felt the dream was giving him inappropriate counsel. The gemara says that although we ordinarily require a thirty-day waiting period for evaluation and bids before selling minor orphans’ property on their behalf, this is not the case where the money is needed for burial. Tosafot ולקבורה asks that this is obvious, since we don’t delay burial! He explains that the gemara is saying we would sell off the property immediately even to pay debts incurred in the process of burial. The gemara here debates whether we fine people for accidental violation of the law, in order to keep them from violating it intentionally. There is a concern that if we do not penalize accidental violation, people will be careless. This same debate comes up in the field of parenting, too; do we punish children for accidents, in an attempt to make them be more careful? Does that method work? Abayye says that we believe a person who says that he disqualified my korban or contaminated my produce with טומאה, if he could just as easily do it right now, anyway. The idea seems to be that since, if we didn’t believe him, he could go ahead and do it right now, we might as well believe him about the past. The gemara here talks about repairing a Sefer Torah in which all of the Names of HaShem were written with improper intent. It talks about tracing over the Names with proper intent, but doesn’t mention the other solution: cutting out the parchment in each spot, and replacing it. Presumably the reason it doesn’t mention this approach is because the same problem that applies to tracing – the fact that it will make the Torah scroll look odd – would apply to this solution, too. On September 10, 2008, Tel Aviv University’s Prof. Erez Etzion from the School of Physics and Astronomy will be in the control room of the new CERN Large Hadron Collider (LHC) on the border of France and Switzerland when the LHC is first turned on. Scientists are calling it the largest experiment in the world. It’s taken about 6,000 researchers, $8 billion and ten years to build. At the same time, there are lots of litigious groups protesting that the Large Hadron Collider could create a black hole and destroy the universe. I'm not going to bother posting links to those articles, they're all over the place. Just go here. 1) If there's no black hole, the Israeli role in the project will be conveniently overlooked. Have you seen these "men"? All of these people shown above have one thing in common: they all refuse to give their wives a get, a religious divorce, leaving their wives stranded as agunot -- unable to remarry -- and these men have gone into hiding. On the radio yesterday, I heard the interview of one woman as she bitterly explained her situation as an aguna. Surprisingly, (though very encouraging), when asked if she harbored any complaints against the Israeli Rabbinate, she alternatively praised their efforts to find her husband. 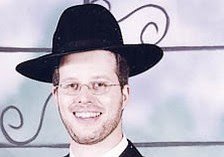 The Chief Rabbinate has gone on the offensive to help agunot, and is posting pictures on their website with descriptions of each individual recalcitrant husband; last know whereabouts, possible methods they used to change their appearances, and they provide the option to leave anonymous tips as to there where these people might be. If you have seen any of them, PLEASE contact the Chief Rabbinate through their website (or email me and I'll send it to them). The aguna on the radio asked for an additional minute on the radio station, to which the interviewer gladly granted. "The biggest problem is not the religious establishment -- I believe they are honestly doing their best to help me. The problem is the families of the men who help hide and protect them -- while our lives are held hostage [from remarrying]"
Do you know these people? Have you seen them? These moral and Jewish degenerates need to be found quickly, so their wives can be freed. If you've seen them, or have a clue where they are -- please contact the Israeli Chief Rabbinate via their website, their phone number 02-658-2822, or you can even contact the Israeli police (100). In particular, 33 year old son of Anglo immigrants to Israel, Meir Briskman has refused to grant his wife a divorce for the past five years -- and he may have fled Israel. He may live in your community! Have you seen him? "From our experiences, we believe that refusing a get [divorce] is a social problem," said Rabbi Eliyah Ben-Dahan, director of the rabbinic courts. "If we reveal the identity in a public forum of those men who refuse to grant their wives a get‚ then he will stop being accepted in his immediate environment." Ben-Dahan added that even if the man in question has gone into hiding, it is likely that his close family may know his whereabouts. Publishing the man's name will bring shame upon his family, he said, hopefully prompting them to come forward with information that will ultimately free the woman in question." Let's use the JBlogosphere to find this guy...and bring him to justice.